Good news on book number six. 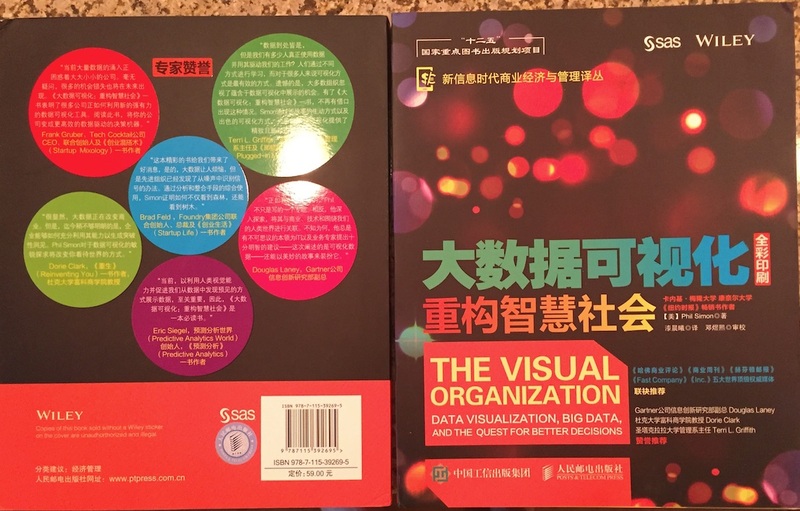 I’m pleased to announce that The Visual Organization is now available in Chinese. Props to the folks at Wiley and SAS Press.